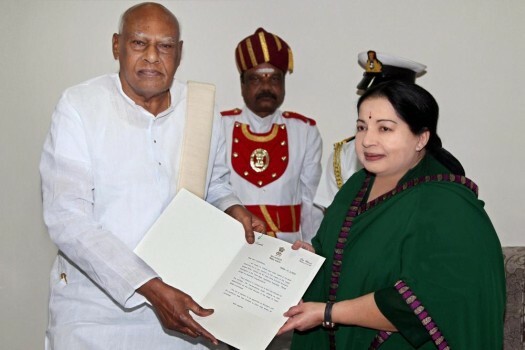 Chief Minister J Jayalalithaa called on Governor K Rosaiah and staked claim for forming the next government at Raj Bhavan in Chennai. 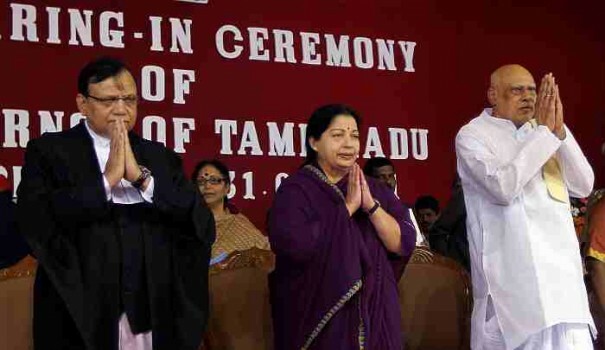 President Pranab Mukhrjee being felicitated by Governor of Tamil Nadu K Rosaiah in Secundrabad. 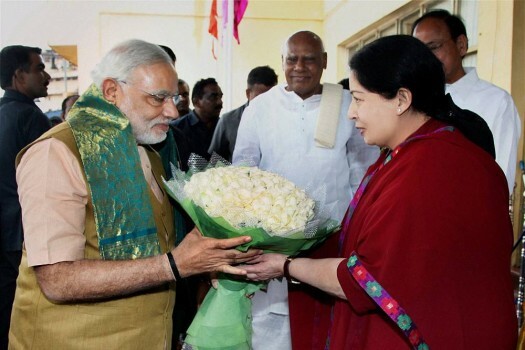 Prime Minister Narendra Modi being greeted by Tamil Nadu Chief Minister J Jayalalithaa at Chennai Airport. 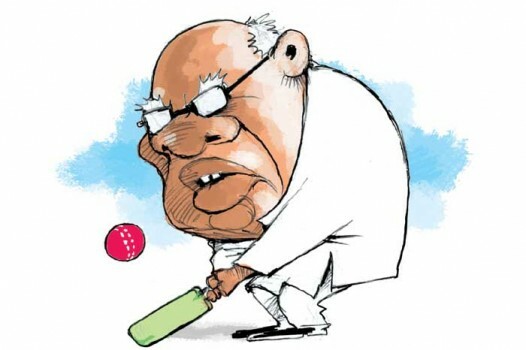 Tamil Nadu Governor K Rosaiah is also seen. 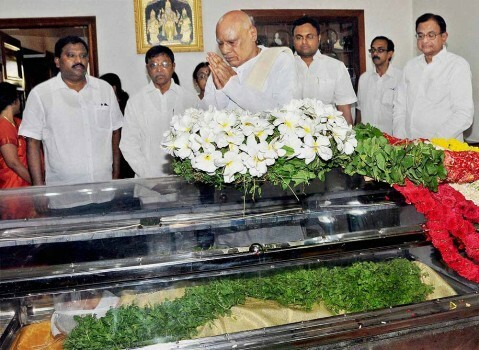 Tamil Nadu Governor K Rosaiah at the residence of Finance Minister P.Chidambaram to offer condolences on the death of his mother Lakshmi Aachi, in Chennai. 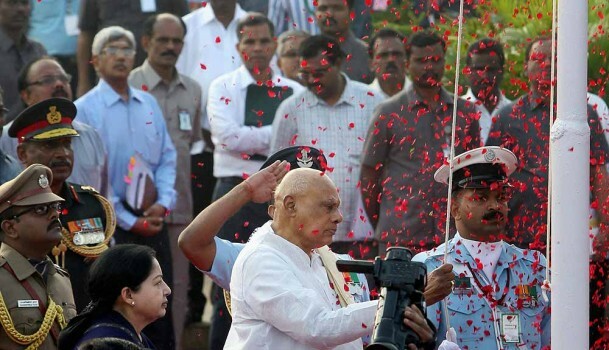 Tamil Nadu Governor K Rosaiah hoists the Tricolour as Chief Minister J Jayalalithaa looks on during Republic Day function in Chennai. 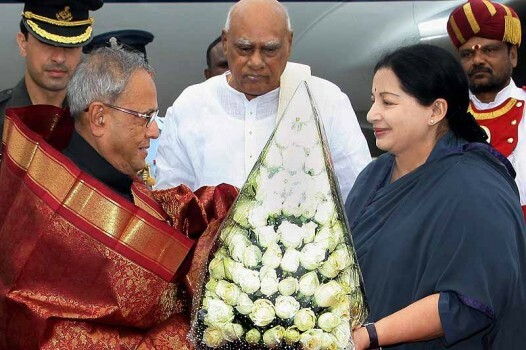 President Pranab Mukherjee being presented with a bouquet by Tamil Nadu Chief Minister J. Jayalalitha as Governor K Rosaiah looks on, on his arrival at the airport in Chennai. 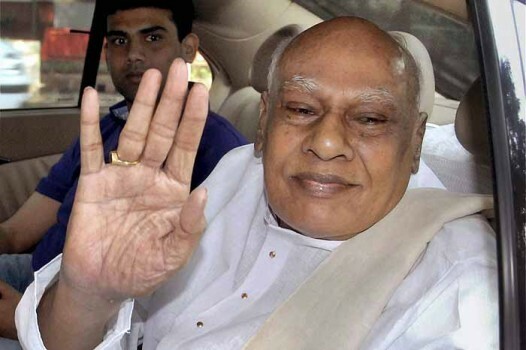 Tamil Nadu Governor K. Rosaiah leaves after meeting Congress President Sonia Gandhi in New Delhi. Governor of Tamil Nadu K. Rosaiah paying obeisance at Lord Venkateswara Temple in Tirumala, Tirupati. 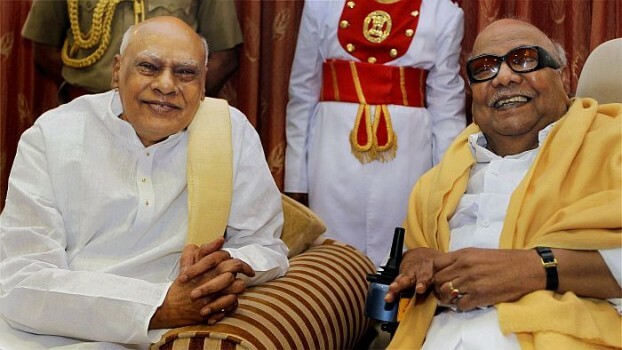 DMK chief M Karunanidhi meets Governor of Tamil Nadu Konijeti Rosaiah at Raj Bhavan in Chennai. 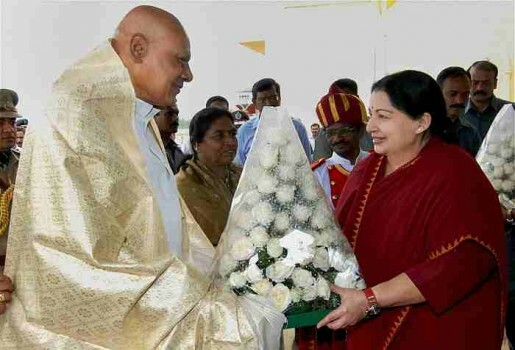 Tamil Nadu Chief Minister J Jayalalitha welcomes the new Governor K Rosaiah on his arrival at the airport in Chennai. 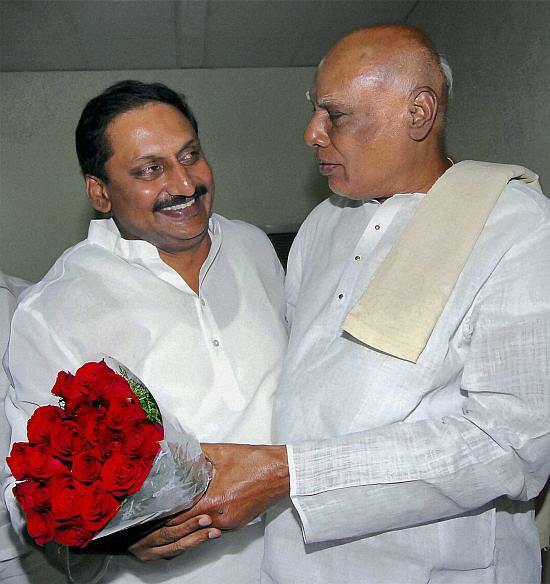 Newly appointed Andhra Pradesh Chief Minister N Kiran Kumar Reddy being greeted by his predecessor K Rosaiah in Hyderabad. 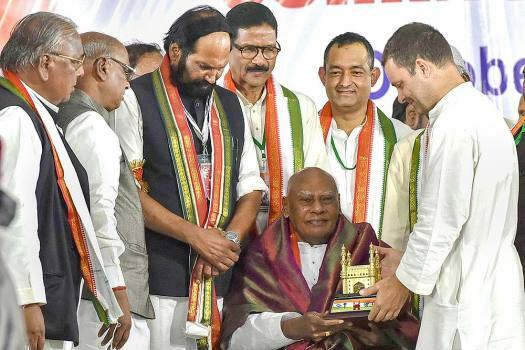 Andhra Pradesh Chief Minister-designate Kiran Kumar Reddy presents a bouquet to Union Finance Minister Pranab Mukherjee during a meeting in Hyderabad on Wednesday night. Andhra Pradesh Chief Minister-designate Kiran Kumar Reddy with his predecessor K Rosaiah during a meeting in Hyderabad on Wednesday night. 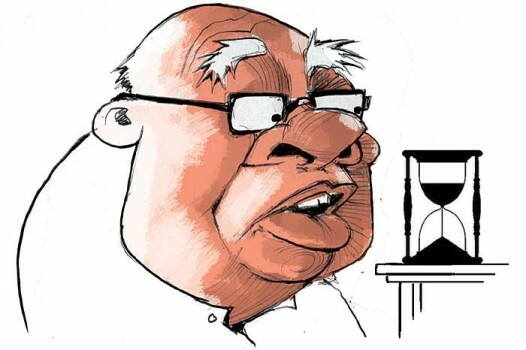 Andhra Pradesh Chief Minister K Rosaiah submits his resignation to Governor E.S.L. 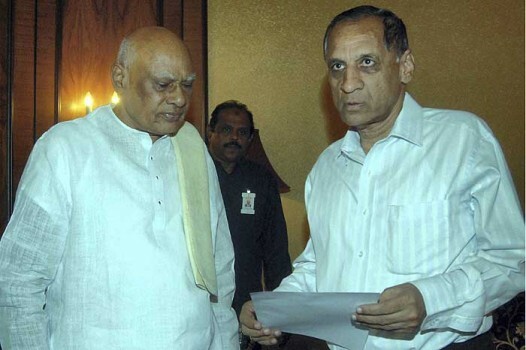 Narasimhan at Raj Bhavan in Hyderabad. 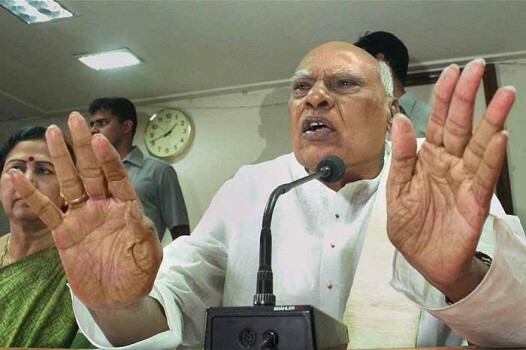 Andhra Pradesh Chief Minister Rosaiah announces his decision to resign from his post before a press conference at the AP state secretariat in Hyderabad. 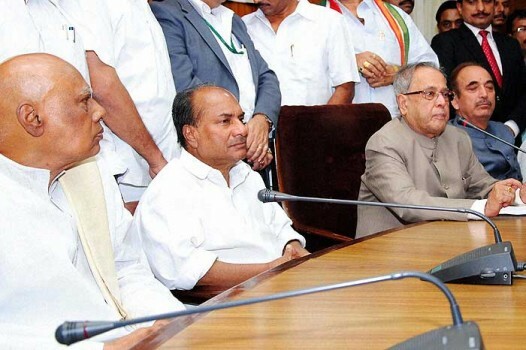 New CM Kiran Kumar Reddy is said to be a doer. 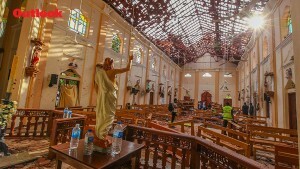 Tough days ahead.